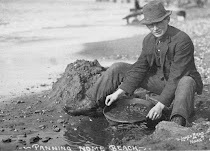 We already know that Ben Bernanke is a gold bug's best friend (here, here and here). And while technically Ben Bernanke is a republican, and was appointed to his post by a republican president, it is safe to say that when it comes to printing money political affiliation is irrelevant, especially since it was paradoxically a democrat Obama who was Bernanke's biggest backer during the last year for very obvious reasons - after all it was merely Bernanke's $2 trillion in excess reserves that pushed the stock market higher and gave the false impression that the economy is improving (even if a potential Romney administration would have hardly budged the status quo and likely replaced Bernanke with an even more pro-printing figurehead in the face of Bill Dudley). 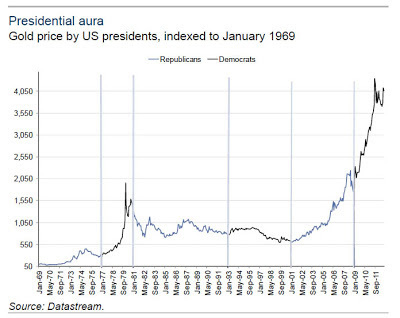 So a different question is: should gold bugs be more excited by a democrat or a republican president. 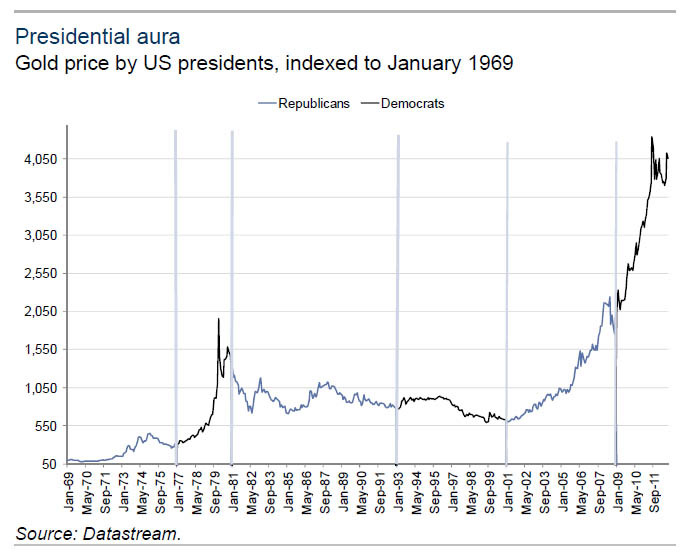 The answer is self-evident: of the $4000 inflation-adjusted increase in gold price since gold was floated by Nixon, a solid $3000, or 75% of this rise, has taken place under Democratic administrations. So dear gold bugs: stock pile that physical and cheer on Obama and hopefully his democratic successors. At this rate, gold (and ostensibly all other precious metals) will outperform every single asset class known to man (sorry Buffett).